Mason jar crafts are all the rage and turning your canning jars into home decor fuses charm with function. From lights to displays, discover three ways to decorate with Mason jars. You love the look of big-name decor, but combining canning jars and a hanging light kit can give you the same flair without the expense of name brand designs. First, paint the outside of your Mason jar with two coats of glass paint according to the instructions on the bottle. Allow to dry. Next, separate the lid and band from your Mason jar and place the lid on a solid wood surface that is OK if damaged slightly. Using the carbide-tipped drill bit, drill a hole through the lid and sand slightly to remove any rough edges. Then run your light kit through the new hole in the lid and place the lid back into the band. Now it's time to screw your light bulb into your light kit. Finally, screw the band, lid and light kit into the Mason jar, hang from 2 hooks mounted into your ceiling and admire your canning-jar-turned-DIY Mason jar light — you rock! When you decorate with Mason jars you not only save a ton of cash with this versatile form of DIY decor, you can also deck out your abode in no time flat — even if you find your tastes changing every week. First, remove the lids and bands from your Mason jars and paint two coats of your glass paint on the outside of your container for this Mason jar craft. 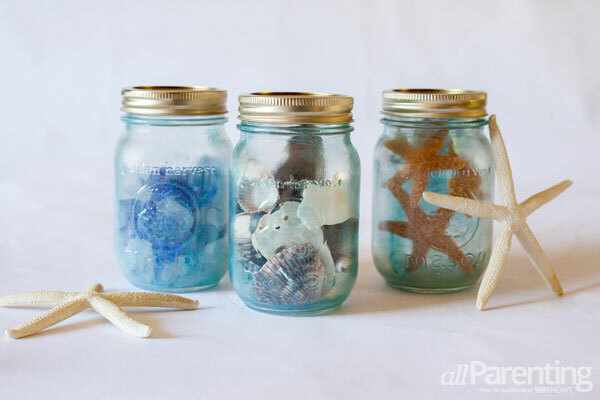 Then, while your paint is drying, gather souvenirs from your seaside visits and fill your canisters for a quick and affordable solution for decorating with Mason jars. It's that easy! 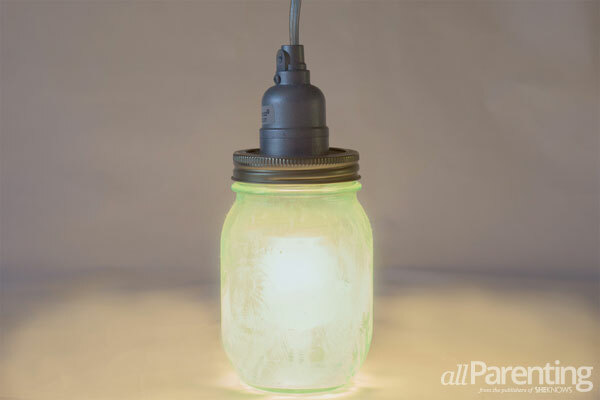 Before you blow more than 20 bucks apiece on commercially-made solar light Mason jars, make your own sun-powered pathway lights with this Mason jar craft you can create from dollar store finds. First, purchase plastic solar garden lights with stakes and remove the top part from the base; all you will need is the black part that houses the electronics, the solar panel and the light. You can often find these solar lights at your local dollar store. Next, remove the lid and band from your canning jar and use the lid to trace a circle onto your vellum. You can also use Plexiglas or a piece of clear plastic that is soft enough to cut with scissors. Now cut out your circle and save your lid for fall canning. Then, add superglue to the top of your solar light and place topside down on the center of your vellum circle and allow to dry. 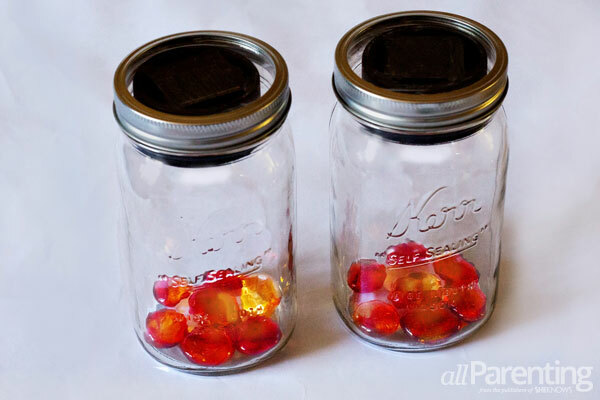 Finally, add your glass rocks to the bottom of your Mason jar and screw your modified lid to the top and you are ready to light up your pathway without ever having to plug in!